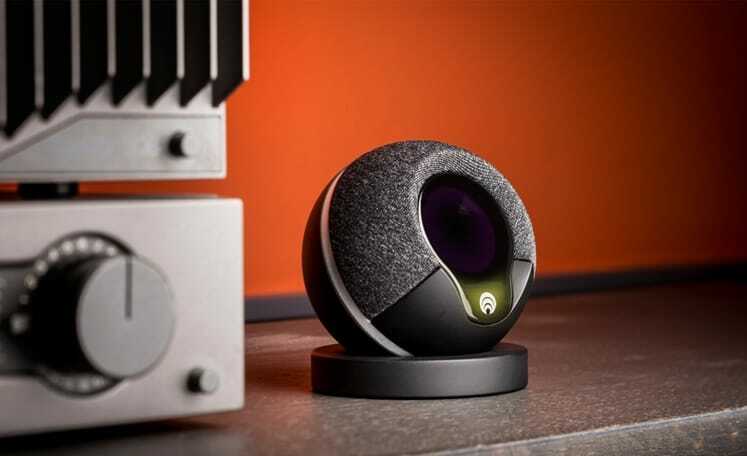 Cocoon is a technology company transforming the home security market by designing beautiful products that help people feel safe. It won silver at the 2014 London Design awards and recently secured a £2 million investment from Aviva Ventures and Breed Reply Investments. 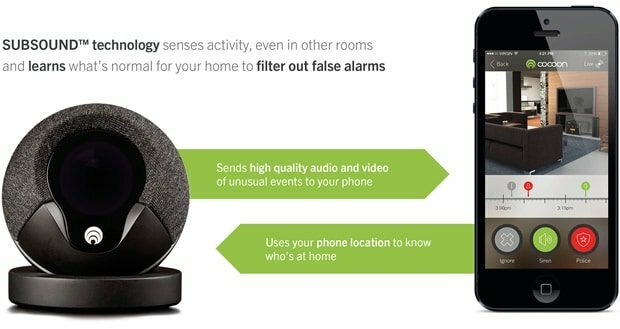 Features of the innovative smart home security system include device side encryption and unique SUBSOUND™ technology to sense activity throughout a home. It even detects intruders through closed doors. 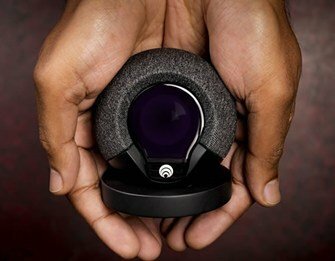 Cocoon enlisted ByteSnap Design as they needed to work with experts in both electronics design and software on embedded platforms. ByteSnap’s engineering teams are flexible, quick to respond and technically astute, specifically with the ability to deliver high-density, high-bandwidth circuit design. The client was developing a high-spec yet simple-to-use product that consumers can use to replace or compliment a traditional alarm technology. Following an extensive investigation into the various system on chips (SoC) on the market, Cocoon’s in-house specialists chose NXP/Freescale iMX6 for its availability and technical support. The next step was to bring in technical expertise from ByteSnap to develop the electronics and Linux board support package (BSP) laying the foundation for Cocoon’s security application. The design presented particular challenges. It had to meet demanding video, WiFi and audio performance targets at a commercial price point and was mechanically tightly constrained and atheistically pleasing without sacrificing performance. What made this product particularly difficult was the shape, being circular and packing significant hardware onto the PCBs requires careful consideration. Management of MCAD to ECAD data was critical in the success of the design and having engineers who appreciate not just their own core skills but have broad appreciation of all product aspects helped in the development. Hardware isn’t all digital; an entire PCB was dedicated to all the sensors and transducers in the product. The hardware behind the SUBSOUND™ technology required several iterations until finally giving excellent performance. Moving the sensitive analogue design away from the high performance Digital section proved essential. With application software and aesthetic design managed by Cocoon, ByteSnap Design started by putting together a dedicated team to provide clear project communications, ensuring the client was confident in its ability to deliver product quickly. To accelerate the product development, ByteSnap initially developed a prototype sensor board that interfaced directly to an off-the-shelf iMX6 development board. This allowed ByteSnap’s software team to develop the BSP, and Cocoon’s application team to progress application work, without having to wait for the bespoke electronics to be ready. It also flushed out some early technical issues, saving time at the product development stage. As the Linux BSP progressed, code was made available and test software written to exercise the whole system from drivers through to hardware. Once the sensor board had been tested and software work was underway, ByteSnap designed the production sensor PCB and CPU board, a dense, high speed digital, PCB design involving DDR, EMMc, power and WiFi. Cocoon used a camera specialist to develop the camera PCB and optics, in parallel to ByteSnap’s development. Communications were key at this point to ensure the PCBs successfully transferred high speed camera MIPI data. ByteSnap choose the connectors and performed all the high speed calculation for the PCB’s. As Wi-Fi performance was a major challenge, ByteSnap Design carefully choose a Wi-Fi module that not only had performance but great support. By working closely with the Taiwanese module vendor, ByteSnap was able to improve the drivers and RF performance of the Wi-Fi chip, and ultimately the wireless data rate in real life environments. The revision A prototype PCBs ran Linux as intended but work was required to improve the audio performance and to tweak the mechanical fit of the three boards into the case. ByteSnap investigated and reengineered around that by designing a bespoke PCB, and then once this had been tested by Cocoon, the improvements were integrated into the final design. As the device is relatively small (the size of a tennis ball), ByteSnap Design’s years of expertise ensured that all requirements were met in the space that was available, with heat dissipation being a key concern to address. As part of ByteSnap’s ISO9001 approved quality control system, access to bug tracking was provided to cocoon and sign off points established. All modifications to PCB’s documented and provided to Cocoon prior to change. The product has to pass CE, FCC and R&TTE without a conductive case to help shield the electronics. ByteSnap had this in mind from the start and by identifying highest risk circuits on the design, ByteSnap put in provisions in case things didn’t work out at the test chamber. ByteSnap has invested heavily into EMC acquiring a chamber and test equipment to assisting customers get their products through approvals and believes EMC is not just a test, but must be considered throughout the design. Contact ByteSnap to find out how our embedded systems solutions for smart home and IoT devices can help accelerate your route to market.